Clean energy investment totaled $53.6 billion worldwide in the first quarter of this year, down 17% from 1Q 2016 but only 7% down from the final quarter of last year. The data show a mix of strong and weak features in 1Q 2017. 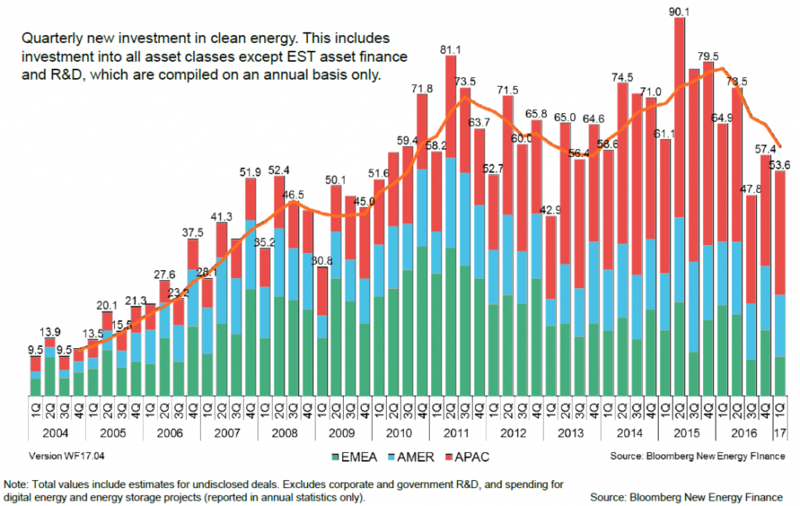 This report covers an overview of annual clean energy investment, quarterly trends in new investments and funds in circulation, clean energy indexes and renewable energy capacity investment.